The Far Ultraviolet Spectroscopic Explorer (FUSE) was conceived in the early eighties as a follow-on to the Copernicus mission, launched in the early seventies. This artist’s illustration depicts the binary system LH54-425, which consists of two very massive stars. Using FUSE and ground-based telescopes, astronomers were able to determine properties of this rare, young binary-star system. Using modern detectors, FUSE would have ten to a hundred-thousand times more capability and reach billions of light years into the universe, compared with the few-thousand-light-year limit of Copernicus. FUSE looked at the far ultraviolet (905-1,187 Å) region of the astronomical electromagnetic spectrum, complementing the capabilities of the Hubble Space Telescope, which has a sensitivity that drops rapidly below 1,200 . It was launched June 24, 1999, and was decommissioned on October 18, 2007. In its more than eight years of operation, FUSE addressed interesting astrophysical problems: What is the abundance of atomic deuterium in the Milky Way galaxy? Are the “missing” baryons in the nearby universe in fact hidden as hot plasma? Does a giant halo of hot plasma surround our galaxy? The science harvest was rich. FUSE obtained 65,000,000 seconds of observations on approximately 2,850 different objects. The data were analyzed by both the principal investigator science team and guest investigators selected by NASA in highly competitive proposal competitions, with the majority of observations going to guest investigators. So far, there have been more than 1,300 publications based on the data, with no end in sight. The FUSE grating and detector technology were adapted for the cosmic origins spectrograph, installed on Hubble during Servicing Mission 4 in May 2009. All this from a mission that was officially canceled in 1994. The success of the restructured program for a technically demanding mission is a tribute to the discipline, focus, and cooperation of the mission team members. The development of the FUSE mission was delayed because of the Challenger accident in 1986 and NASA’s budget environment at the time—a delay that made changes in the technical approach possible, which significantly reduced technical and schedule risk. The grazing-incidence telescope design was replaced by normal-incidence optics coated with silicon carbide coatings, a technique invented in 1988. Aspheric gratings were replaced by easier-to-make spherical gratings with holographic correction of the major optical aberrations, another development of that period. A high-Earth orbit was specified on the grounds that operating an astronomical observatory in a low-Earth orbit would be complex and expensive. One of the triumphs of the restructured FUSE program would be the demonstration that low-Earth astronomical observations were feasible in a modest-cost mission. While a crane lifts NASA’s FUSE satellite, workers at Hangar AE, Cape Canaveral Air Station, help guide it toward the circular payload-attach fitting in front of it. 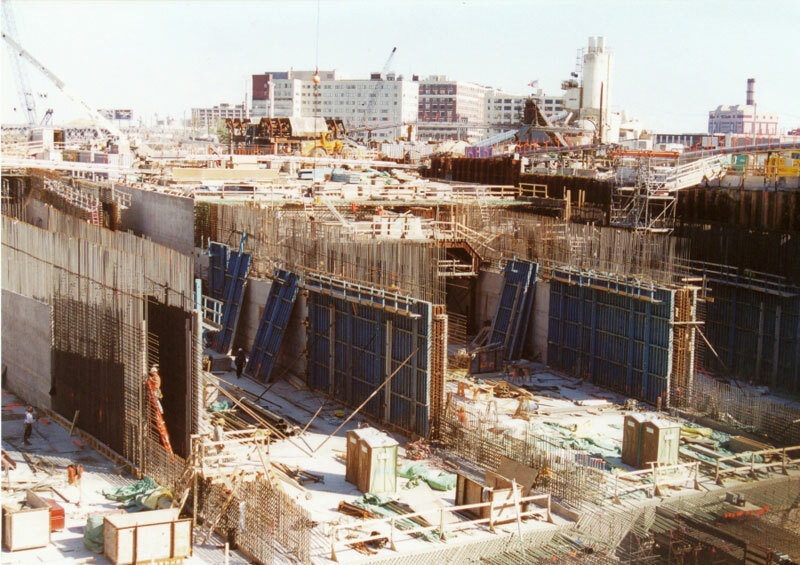 By the summer of 1994, the mission was ready to start Phases C and D, but budgetary pressures stretched out the schedule even further, causing the estimated cost to balloon. At the same time, NASA’s “faster, better, cheaper” mantra signaled the drive to increase launch frequency. The FUSE project was about to receive a major setback, one that actually led to an earlier launch and highly successful program. On September 6, 1994, NASA Headquarters informed Principal Investigator Warren Moos and Project Manager Dennis McCarthy that FUSE was canceled. Serious negotiations began with NASA (with John Bahcall and others playing important roles) to preserve the science program. A meeting was held with Wes Huntress, NASA Associate Administrator for Space Science, on September 9, 1994. Huntress directed Johns Hopkins University to prepare a proposal for a $100-million mission that would retain the essential science. The principal investigator would assume control of all segments of the mission while NASA would be responsible for the launch. A proposal for Phases C/D of that mission was due in January ’95. An intense four months followed. The core spectrographs were retained, but anything “nice but not crucial” was eliminated. A low-Earth orbit instead of a high-Earth orbit became possible because Hopkins showed (with Space Telescope Science Institute help) that it need not be overly complex. After extensive review, including a non-advocate review, NASA gave approval for the “new” FUSE mission to enter Phases C and D.
The FUSE restructured team tailored documentation to meet unique mission requirements, centralized systems engineering, integrated the team to ensure maximum communication at minimum cost, and streamlined the management team, with the Johns Hopkins principal investigator responsible for the mission and Goddard Space Flight Center providing contract administration and oversight. As a result, it was able to design to cost and maintain a fixed schedule. The team developed a formal de-scope process. The detailed de-scope plan was a primary tool for managing risk and dealing with circumstances that could have an unacceptable impact on cost and schedule. We had identified de-scope options and contingencies during the remainder of Phase B. The principal investigator and science team prioritized the requirements on the mission and its systems, and defined the minimum performance floor. In addition, Hopkins formed a small, highly experienced, standing review team to review and evaluate the FUSE program semiannually. These reviews were tied to the semiannual Goddard review and other reviews, including non-advocate review, preliminary design review (PDR), critical design review (CDR), and pre-ship spectrograph, pre-ship spacecraft, pre-test satellite, and pre-ship satellite reviews. Hopkins also conducted informal incremental “peer reviews” at the subsystem level between expert teams as part of the process leading up to major project reviews. Technical experts from the university, Goddard, and other institutions engaged in informal roundtable reviews of plans, designs, and implementations at key development stages. The results of each individual peer review were presented at each major program review. Peer reviews made major contributions to developing the proper subsystem designs, interfaces, design margins, analyses, implementation plans, and testing. The Hopkins review team presented their findings to Goddard independently prior to launch. The integration and test plan was shaped by cost and schedule constraints, and by the unique demands of far-ultraviolet (FUV) optics. Testing at FUV wavelengths requires the entire instrument to be under a high-vacuum environment. In addition, FUV optics are extremely sensitive to molecular contamination, requiring careful material selection and rigorous cleaning and handling procedures for ground-support equipment as well as flight hardware. Also, the lithium fluoride overcoat on the aluminum optics was susceptible to degradation by water vapor, requiring a near-continuous dry-nitrogen purge. Our general approach was to perform rigorous acceptance testing of subsystems prior to delivery and to perform extensive testing of the integrated satellite, but to limit testing at intermediate levels of assembly. Thermal vacuum testing of the satellite included an optical end-to-end test, with full-aperture FUV illumination of all four telescopes. This gave us comprehensive performance testing and mission-sequence testing in a flight-like environment. How did things turn out? On-orbit instrument spacecraft and instrument performance met or exceeded all requirements. There were some problems to overcome, however. One was that the co-alignment of the four telescopes was affected by changes in the spacecraft orientation relative to the sun; testing such effects during integration and testing is one example of something that was not feasible given our cost constraints. This particular problem was solved by changes to operational procedures at a modest cost to observing efficiency. There were also several instrument-software problems not caught by the usual suite of stress-test configurations. These problems became manifest over the course of days and weeks of uninterrupted running, which would not have been practical when testing with the integrated satellite. A high-fidelity simulator dedicated to use by the operations team would have made such tests possible, and generally would have helped to reduce some of the demands of the integration and testing schedule. The on-orbit problems that did have a significant impact on the mission were the eventual failures of most of the gyroscopes and all the reaction wheels. These problems, too, were overcome (until the failure of the last reaction wheel) by means of extensive redesign of the spacecraft and instrument software, and of the observation-planning system on the ground. Above: FUSE satellite control center at Johns Hopkins University. This would not have been possible without the continued involvement of the original software developers for these systems. Was the low-cost development approach a factor in these failures? The gyros were selected based on cost, and it is conceivable that more expensive gyros would have lasted longer. Even without the flight-software redesign, however, gyro failures would not have terminated the mission until well after FUSE’s planned three-year lifetime. 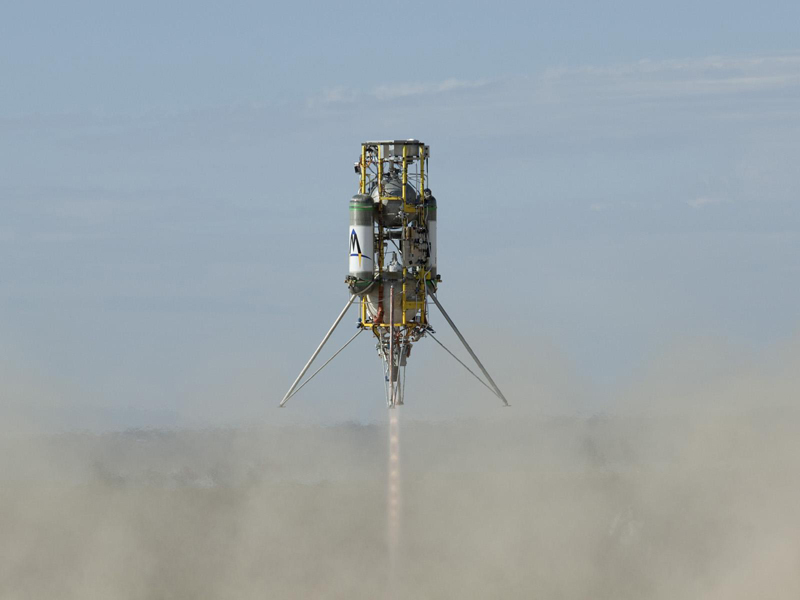 The reaction-wheel failures would have terminated the mission after roughly two and a half years had we not developed a work-around, but cost was not a factor in selecting the wheels, and there were no hints prior to launch that they would have a limited life. Had there been such hints, cost would not have precluded having a fully redundant set of wheels. FUSE was the first principal investigatorclass astronomy mission managed by an academic division of a university. Our modus operandi was to procure an “off-the-shelf” spacecraft and ground system at a fixed price, and develop the instrument. Buying two and developing only one made it possible to maintain cost and schedule. The spacecraft cost less than $35 million, the ground system was less than $4 million, and the science team “got religion” on holding the instrument to a fixed cost. They were realistic in deciding what capabilities we had to keep and what we could sacrifice. The integrated nature of the team meant sufficient two-way interaction between the scientists in operations and instrumentation with the engineering staff to generally communicate and clarify requirements and keep them realistic. The total program cost $120 million, 60 percent less than the proposed cost of the original FUSE. 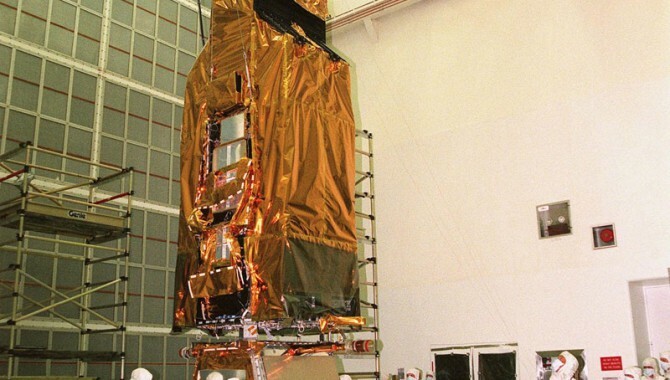 With contributions from the Canadian Space Agency (fine-guidance sensor) and France (diffraction gratings), the launch date was accelerated by two years, and the instrument retained a majority of the original FUSE science capabilities. This restructured project flew two years early at substantially reduced cost and produced a comprehensive program that operated for eight years and achieved high-priority science. Warren Moos was the principal investigator for FUSE. He is currently the co-chair of the Joint Dark Energy Mission Interim Science Working Group and a research professor in the Department of Physics and Astronomy at Johns Hopkins University. Dennis McCarthy is currently a consultant to NASA. Previously, he was program director for FUSE. Other positions he held include deputy associate director of flight projects at Goddard for Hubble Space Telescope, associate director for the Space Sciences Directorate, and deputy project manager for the Cosmic Background Explorer, which won the Nobel Prize in Physics in 2006. Jeffrey Kruk is a principal research scientist in the Department of Physics and Astronomy at Johns Hopkins University. He is currently working on development of the Joint Dark Energy Mission, a collaborative effort of NASA and the Department of Energy. He was the system scientist for FUSE prior to its launch, and the mission systems engineer and deputy chief of observatory operations following launch.